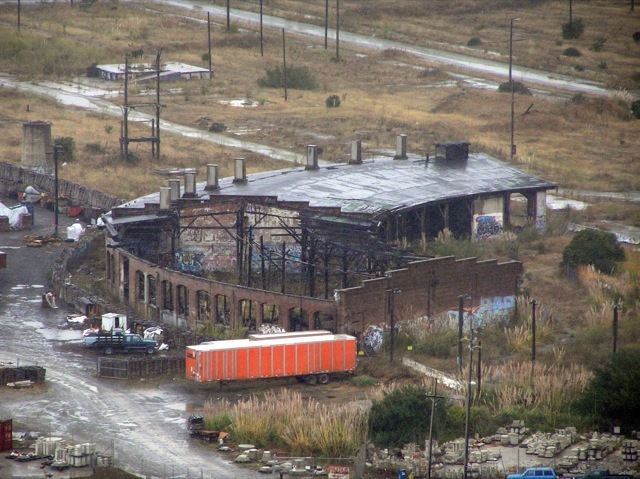 Many of the remaining buildings were demolished shortly after the roundhouse closed. 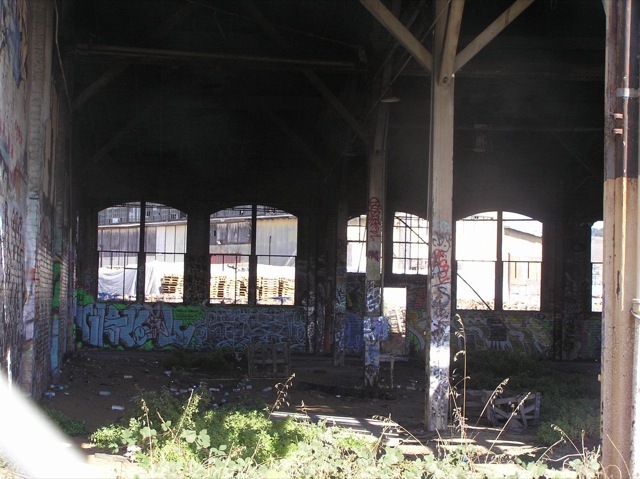 The only survivors were the tank and boiler shop, which came under ownership of Lazzari Fuel, and the roundhouse itself, which remained vacant. It sat silent until 2001, when a fire started that ended up claiming half of the roof before it could be contained. The other half was saved thanks to the Brisbane Fire and Public Works departments, as well as the brick firewall that divided the two halves. 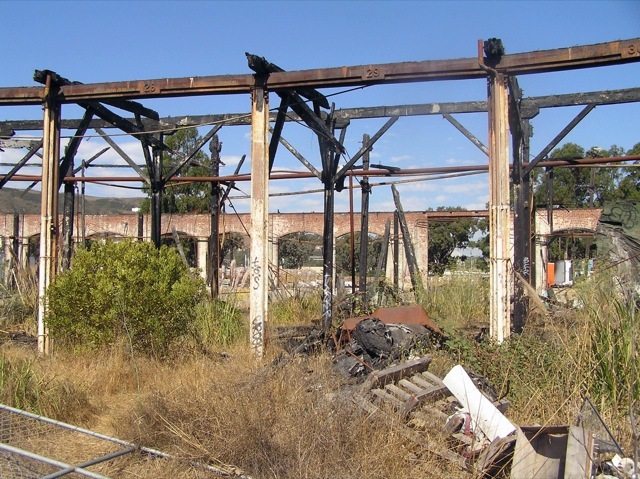 Seen here in 2007, the roundhouse has been ablaze and the roof has collapsed on one half of the structure. Graffiti taggers have also taken their toll. Weeds and even shrubs have overtaken the collapsed section. Some of the timbers are still standing, albeit completely charred. The non-collapsed section has fared slightly better. Nevertheless, dirt and litter engulf the floor.